Colusa, California, (population 5,947) is located at Salmon Bend on the Sacramento River and is surrounded by agricultural lands. The site has a rich Native American and California history as a bustling trading point. Located at what was the river’s navigable limit for many years, Colusa provided supplies to the gold fields and shipped gold, grain, and granite to San Francisco. The city is bordered on the north by the Colusa State Recreational Area and on the west by the Colusa Wildlife Refuge. Both areas feature active ranger and interpretive programs, and the city offers walking, biking, and driving tour programs. After the Civil War, many displaced southerners came to Colusa. The architecture of the city reflects the graceful grandeur found in parts of the pre-Civil War south. Colusa’s antebellum charm has attracted many Hollywood directors, including Ron Howard, whose movie, “Huckleberry Finn,” was filmed in Colusa. A program which encouraged the entire community to read the novel culminated in a festival, featuring period games like horseshoes, and a presentation by students dressed in period costumes at the local historic high school. 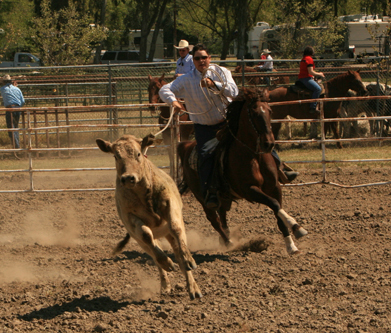 Colusa hosts an annual event called Western Days which features cattle roping, branding, cooking and music. An associated parade includes a longhorn cattle drive and equestrian units. The events attract all ages with numerous participatory activities and reflect the community’s farming and ranching roots. The community also has an annual Civil War reenactment in September and a tour of historic homes each May. During Preservation Month in May, the Heritage Preservation Committee also offers an awards ceremony to honor individuals who have made major contributions to local historic preservation. The City of Colusa is a Certified Local Government and has a strong historic preservation element in its recently adopted General Plan. Colusa also has procedures outlined in its zoning ordinance that protect local historic assets. Several local properties are listed on the National Register of Historic Places, including the Grammar School, which now serves as City Hall, and the former Carnegie Library, which is now used as police headquarters. The City and the County of Colusa recently completed a joint Economic Development Plan, with a strong emphasis on promoting both heritage and wildlife tourism. Designated a Preserve America Community in May 2012.